After several weekends of focusing on upholstery projects I went out this weekend and did some serious shopping. Even better than that quite a few pieces sold. Here is a recap of our week. Several of the items I purchased this weekend are not pictured but will be written about once they become available. We have had quite a few Eames pieces over the last few years but this is the first time we have had a complete dining set. Sold. Last but not least I am always a sucker for Dorothy Thorpe glass and port. So this set of 6 Dorothy Thorpe glasses was a no-brainer. Sold. Here is what sold this week! Both of our reupholstered Eames style lounge chairs sold this week. We currently have two more that will be available soon. Please inquire if interested. 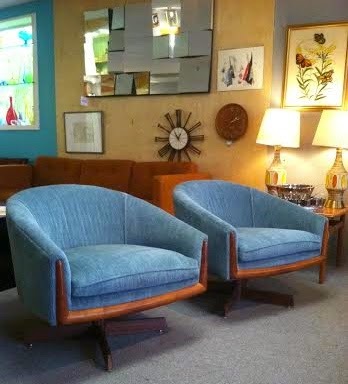 Grete Jalk side table and lounge chair & ottoman both sold this weekend. Pair of Adrian Pearsall swivels chairs sold this morning. Reupholstered Danish rosewood dining chairs. 1 sold, 1 is still available. 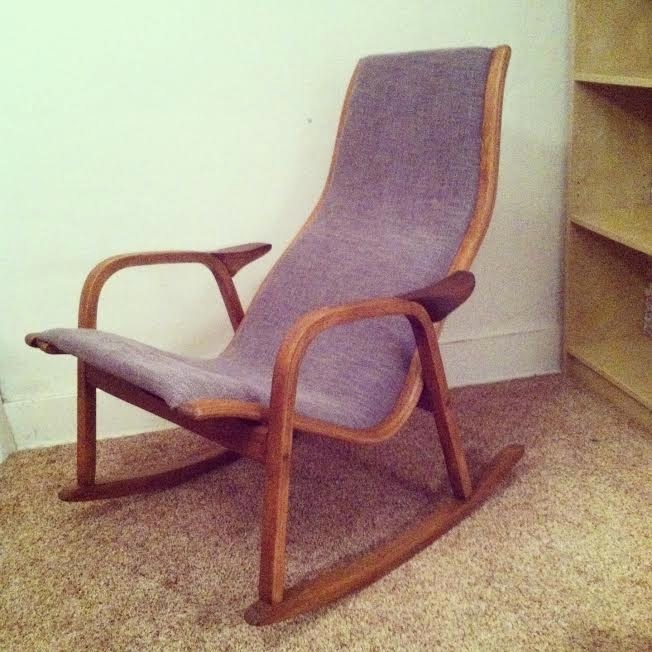 We custom upholstered this Yngve Ekstom rocking chair for a customer this week. She picked it up before I could even get a good picture of it.